Abrazo Style Blog (Latin Threads) | Limited edition women's clothing and accessories that bring together handcrafted style, timeless traditions, and powerful stories from the indigenous people of Oaxaca and Chiapas, Mexico. 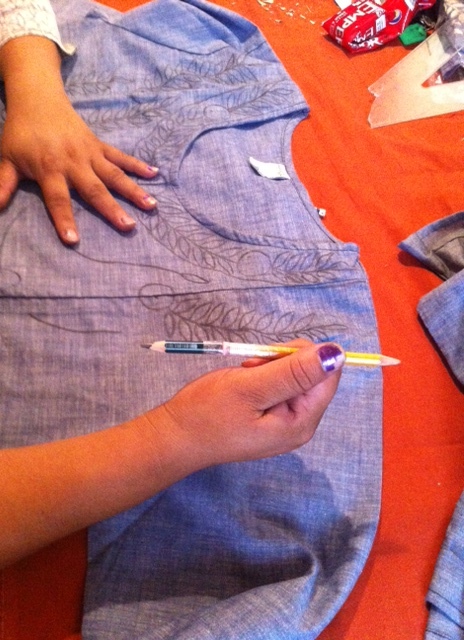 Indigenous women embroiderers work in their homes to create our handcrafted apparel. 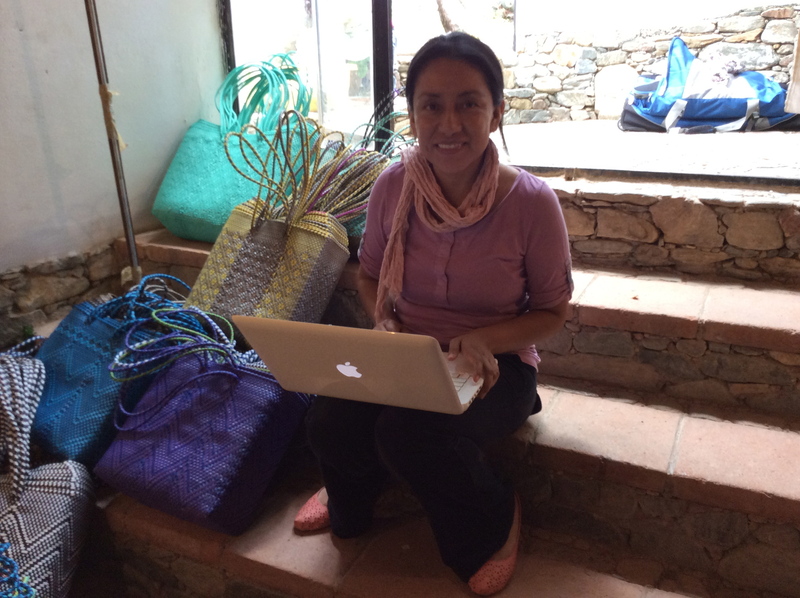 A Kind Voice radio interviews our founder, Adele Hammond, about social entrepreneurship, fair trade, and what it takes to create handcrafted apparel and accessories for women in Oaxaca and Chiapas, Mexico. I started this post some time ago and as I finish it, I am reminded (mostly by others), that I need to pause to look back at how far we’ve come. I’m not very good at that but when I do take a moment I see a business with a growing number of passionate people who together are creating an exceptional collection of high quality, socially responsible, handcrafted apparel and accessories, despite the odds. Our successes (and failures) over the past year resonate with the recurring theme of problem solving in virtually every aspect of what we do. Thinking out of the box (not recommended for those who aren’t in it for the adventure) is a prerequisite and patience, persistence and creativity in navigating cultures is the only way to get things done. In fact, recently, while driving down the road in Oaxaca contemplating where and how we were going to source the new plastic we needed for our totes after months of dead ends, it dawned on me while waiting at a traffic light that the truck in front of me was covered in signs advertising recycled plastic. I grabbed a pen and quickly wrote down the phone number on my hand as the light turned green. That evening I called the number, and miraculously, I was connected with someone who knew someone who could help. This is how we roll in Mexico. No amount of Google searches, phone books or even legwork will guarantee success. We have experienced a rather stunning array of unpleasant surprises in this last year, comprised of tales from which great novels are written. Everything from jealous mistresses to corrupt government officials, plastic cartels to prolonged village fiestas have crossed our path and threatened our existence. Out of necessity we have invented our own manufacturing processes and sometimes even the materials to make our products. But here we are, another year under our belt, stronger, and growing steadily, despite the odds. We continue to learn, sometimes stumbling, occasionally flying, building Abrazo Style, brick by brick. Looking back, yes, I see we have accomplished a lot but mostly I see the women, growing and learning, gaining greater self-confidence, happiness, and sustainability. That’s what makes all the rest of this crazy adventure worthwhile. with me almost since the beginning), for all of her hard work, dedication and commitment to this venture as she leaves Abrazo for a new direction in her career. 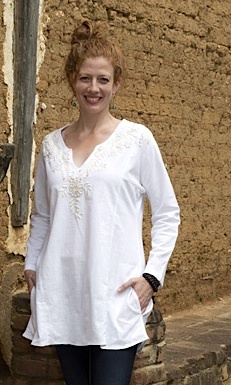 An Inside Look with Adele Hammond: Embracing Contemporary Style and Handcrafted Traditions. Catalog images of finished piece. 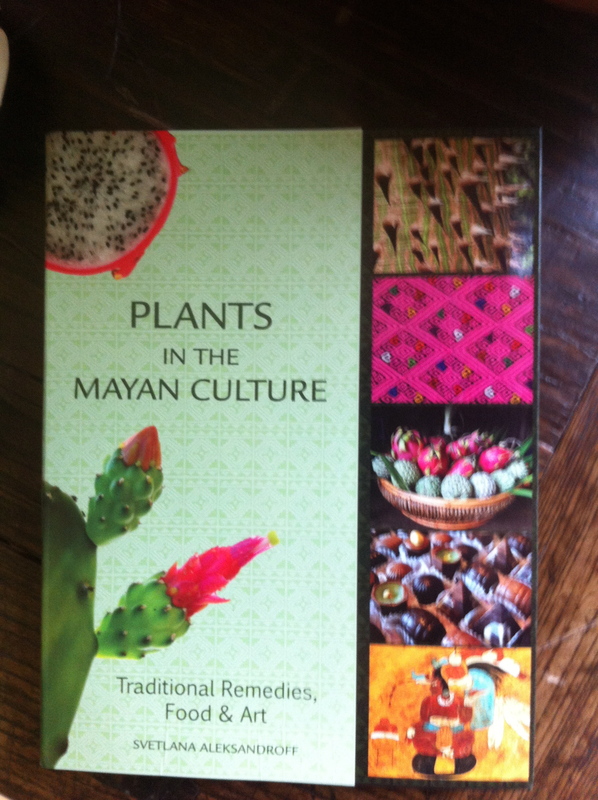 It is an interesting conundrum building a business in a world where seasonal colors, tight delivery deadlines and demanding standards for consistency collide with the alternate reality of tradition and rural life of indigenous artisans of Oaxaca and Chiapas, Mexico. As Abrazo Style grows we have confronted challenges that would make any ordinary fashion apparel company lock their doors and throw away the key. After all, it would be so much easier to just go to China to produce a blouse that would have convincing embroidery, consistency, and proper sizing. But for anyone who knows what we do, the process, the mission, and the result are intimately tied together. Since my last post, we have taken on several very large customers whose names I don’t think I’m allowed to mention. One of them understands our mission and has been absolutely amazing in their patience while we “figured out” how to adapt the handmade blouse they chose for their catalog into a “production” blouse with 4 sizes and a consistent embroidery design. How hard could that be, right? Well, pretty hard, as it turns out. A different customer chose one of our totes for their high end apparel and accessories line and we were faced with reproducing EXACT designs for them on a very tight deadline. Fortunately, we were successful and the tote even made it into this month’s InStyle magazine. As you might guess, Abrazo is evolving. Though our passion remains traveling the backroads of Mexico to discover the one-of-a-kind treasures our customers love, we are also inspired to reinvent tradition with an updated process and a line of clothing that is machine sewn, hand embroidered, and designed in 4 sizes for American bodies. 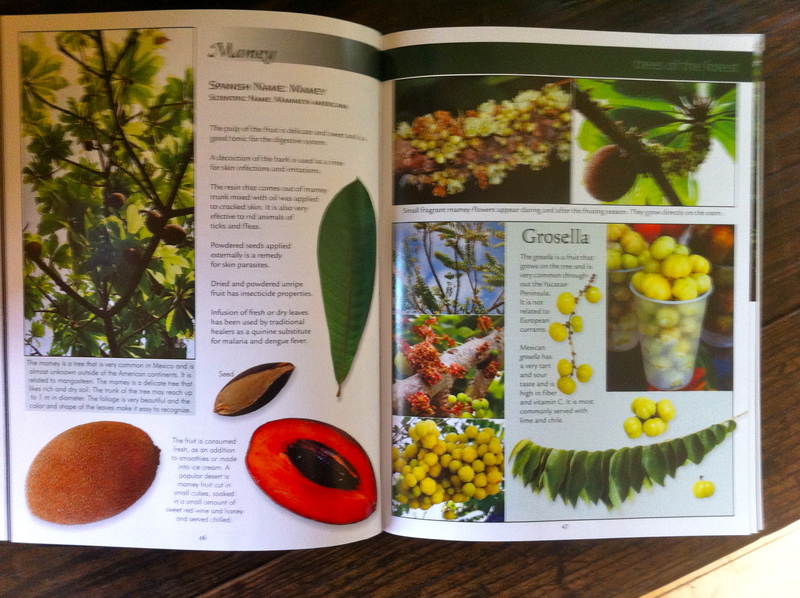 So far, the ladies in Oaxaca and Chiapas love it and so do our US customers. Our process may be evolving but women still work in their homes and their lives remain fundamentally the same with the exception that they are becoming more economically stable. We, along with our artisans are challenged to make intimidating and unfamiliar changes in the future in order to grow, but so far we are making good progress (with the exception of some occasional VERY large bumps in the road ;-). Straddling two worlds, centuries apart, with a shared goal of success requires perserverance and above all, a great sense of humor. The simple and beautiful Rococo-tee blouse, before modifying it. First, the women who make them live in a very remote pueblo where there are no phones and so our contact with them is difficult. Second, we had asked them to make the blouses in a special way for us. 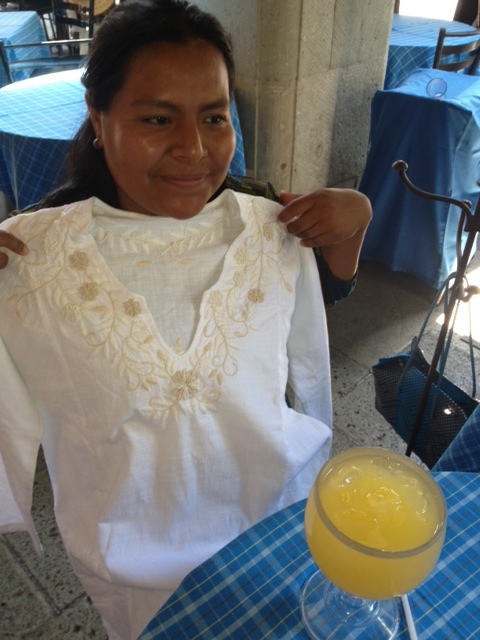 had been having such challenges with consistency in the construction of the blouses that we had decided it would be easier to finish them in Oaxaca with women we trained. 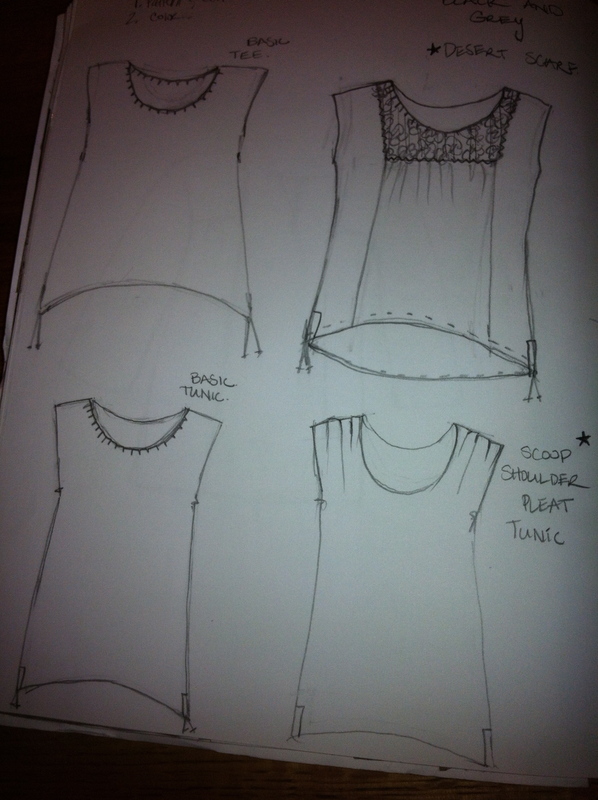 So, these blouses were to have the basic box shape, neck hole, and embroidered front with sides unsewn. Well, the blouses did come in as we had ordered with a little “bonus”…..what looked to be a large bite taken out of the sides of each blouse (maybe done with a knife?). 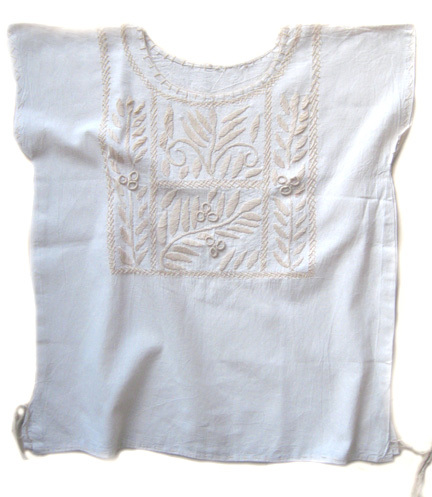 When asked, it turns out they were trying to “help” us in determining where to stitch the arm hole…..sigh…..
That little added “detail” to the blouse altered the way we had to finish it, but in the end, we came up with something beautiful. Consistency in sizing and patterning remains a huge challenge in these regions. In reality, these concepts are very foreign to indigenous artisans in Oaxaca and Chiapas, which seems especially odd considering how textile traditions have dominated these cultures for centuries. So, we take the hard part out of the equation and deliver blouses that are sized and well adapted to our American bodies for them to embroider. Easy, RIGHT? Catalina delivering blouses from her village. work with is often fraught with misunderstandings and assumptions about time, quality standards, commitment, and trust. The results are often comical, and in the end, we almost always compromise and move on with faith that we are all learning. However, there’s another ongoing, rather curious challenge: our quest for new information and people’s willingness to share it. 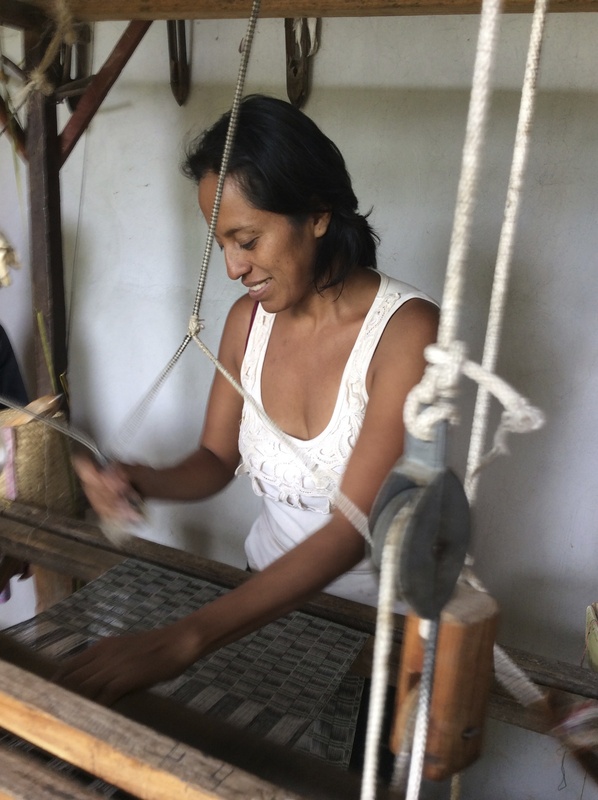 In general, the artisans we work with in Oaxaca and Chiapas communicate well with us in all matters concerning the work we do together except when it comes to sourcing materials or the maker of a new product we have discovered. Of course, this complicates our work immensely, as one cannot just pick up the yellow pages or Google the things we need in these rural areas. So we spend weeks tracking down the meager scraps of information we are provided, only to find, for example, that Rosita, the woman who made the blouse, is the sister-in-law of the person we originally asked, and the new fabric we are searching for is being sold only a block away behind an unmarked door. I realized, eventually, that these roadblocks and detours are created in the interest of job security. They are driven by the understandable fear that comes from generations of poverty and the insecurity of not knowing what tomorrow may bring. We have learned to respect this, and to expect the extra time it takes to earn the trust of the people whose skills we value highly. Working together, we can create more long-term opportunities for everyone. 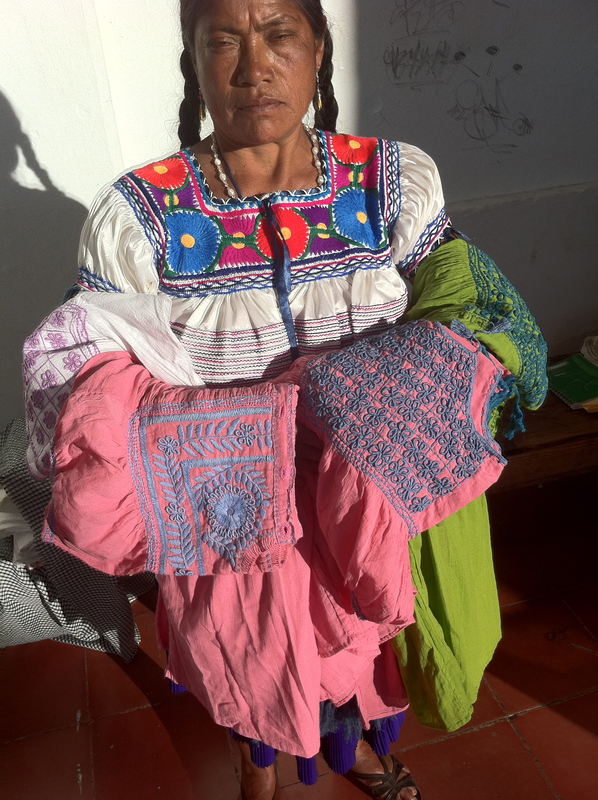 Abrazo Style Blog (Latin Threads) · Limited edition women's clothing and accessories that bring together handcrafted style, timeless traditions, and powerful stories from the indigenous people of Oaxaca and Chiapas, Mexico.